The state concern Türkmengaz will take part in the 13th international oil and gas exhibition and conference Petrotech-2019 from 10 to 12 February. A major international forum will be held in the city of New Delhi (India), said Deputy Prime Minister Myratgeldy Meredov at a meeting of the Cabinet of Ministers of Turkmenistan on January 23. "The State Concern will acquaint large world companies with the development prospects of the country's oil and gas industry, implemented by large investment projects, including the construction of the TAPI gas pipeline," Meredov added. Turkmenistan at the exhibition will demonstrate the achievements and multi-faceted potential of the domestic fuel and energy complex. A large-scale national exposition familiarizing visitors with various projects of the country in the oil and gas industry will be organized. President Gurbanguly Berdimuhamedov said that such events are useful for sharing experience, attracting investments and new technologies, and establishing direct business contacts with the world's leading oil and gas companies. Note that many international experts called TAPI gas pipeline the key to economic prosperity of Central and South Asia. The forum is aimed at developing start-up projects in the oil and gas industry and attracts them to stimulate, develop and expand the use of innovations in the industry. The forum has been held since 1995, with the official support of the Ministry of Oil and Natural Gas of Indian Government. In 2016, as many as 690 companies participated in the exhibition, and 20,000 specialists from 50 countries visited. 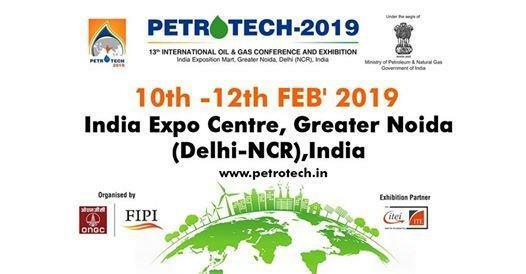 Being held for the last over two decades with growing participation, Petrotech-2019 is the 13th edition of the flagship event of the bustling Indian hydrocarbon sector that is a must-attend one in this part of the globe.